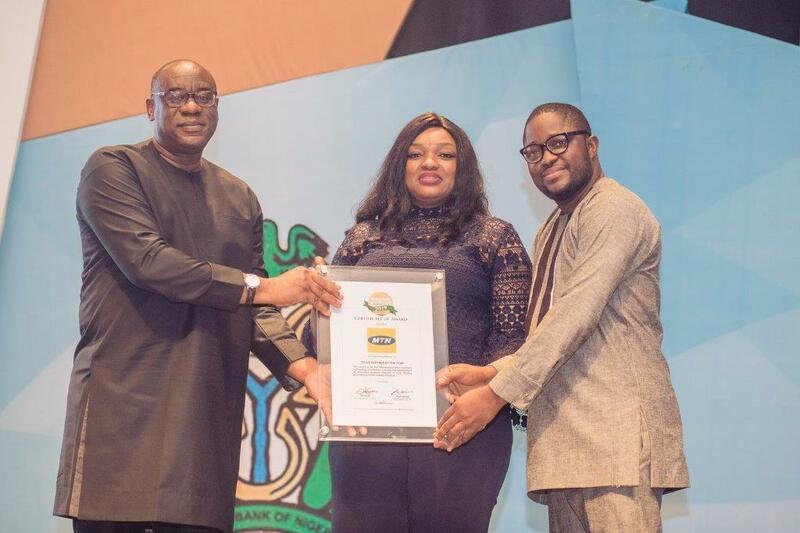 Telecoms giant, MTN Nigeria has bagged the coveted Central Bank of Nigeria’s (CBN) ‘Telco Partner of the Year’ award at the just concluded 2019 Electronic Payments Incentive Scheme (EPIS) Efficiency Awards. The event organized by the Nigeria Inter-Bank Settlement Systems (NIBSS), in collaboration with the CBN, was designed to recognise, incentivise, reward and encourage high-performing stakeholders in Nigeria’s payment space, with the objective of driving innovation as well as improving performance and efficiency across the value chain. The ‘Telco Partner of the Year’ award was presented to MTN Nigeria by the Deputy Governor, CBN, Adebisi Shonubi, in appreciation of the ICT Company’s outstanding contribution towards the development of innovative payment channels in 2018. In his remarks shortly after the honours, General Manager, Mobile Financial Services, MTN Nigeria, Usoro Usoro, said the company was pleased to have been recognised by the apex bank for its immense contributions to government’s cashless policy. Business Hilights recalls that the latest award marks the second consecutive year the ICT company will be recognised by the CBN as ‘Telco Partner of the Year,’ adding to the increasing number of accolades received by the telecommunications giant in recent times. In October 2018, it will be recalled that the company was named the Telecommunications Company of the Year and received four other laurels including – Social Impact Award, Digital Transformation Award, Customer Experience Award and Telcom CEO of the Year awards at the 2018 Nigerian Tech Innovation and Telecom Awards (NTITA) awards.